Emu Creek marks the Southern boundary of the Benarkin State Forest in Queensland, Australia. I parked the van to overlook this bend in the river. The flow around these rocks has created a deep area which holds surface water even when the rest of the creek has vanished under the sand. The remaining water is thick with fish and attracting interest. 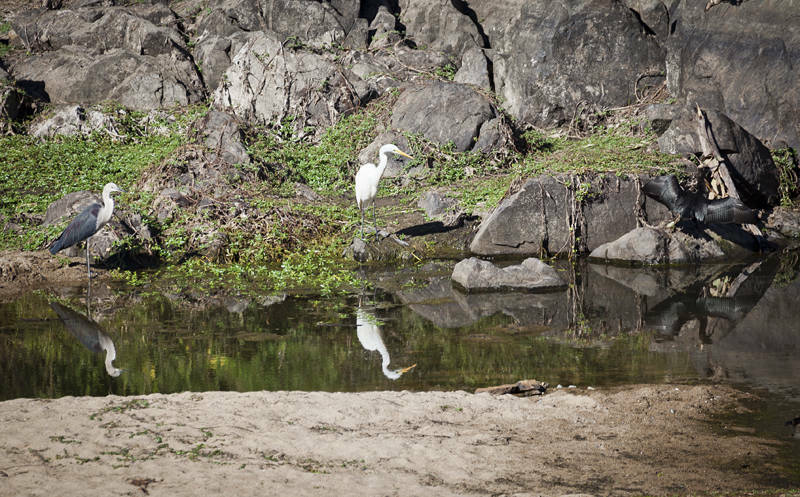 Many birds use the riverbed as a highway gliding in each morning and flying back every night. The steep valley sides give you the unusual perspective of looking down on birds flying beneath you. 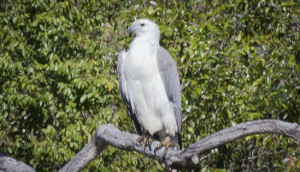 Wallabies and Monitor Lizards also visit the water and occasionally a White-bellied sea eagle appears making all other life temporarily disappear. I had planned to stop at the Blackbutt Showgrounds again but they have a show on this weekend so I am at the Kingaroy Showgrounds which charges triple for their patch of grass so I will only be stopping for one night to restock before going North to Stanage. Having experienced 6.4C inside the van one morning the heat of the tropics will be most welcome. I hope to get some shots of the turquoise ocean while avoiding becoming lunch for any hungry crocodiles. This particular corner of paradise is unlikely to have any phone coverage so the next post will not be until June.